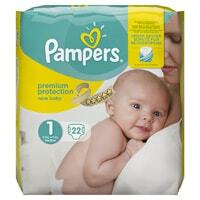 Emma's Diary is giving away free 22 pack Pampers nappies and all you have to do is join their club by registering online. Just follow our link, scroll down to then end and click on Signup button and fill up the form with your details. Click on “GET IT HERE” button and then follow instructions given above to register. Once registered, you will find your free coupon which can be redeemed against a pack of Pamper nappies.